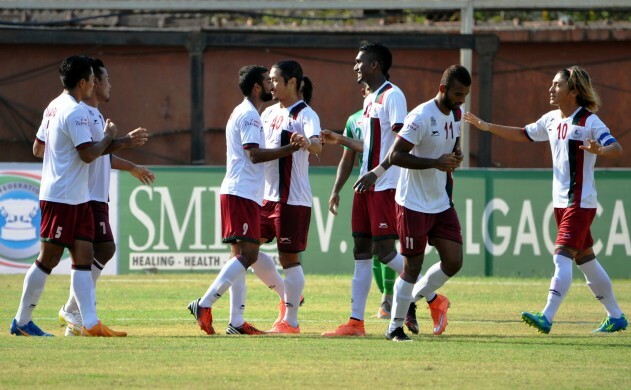 Mohun Bagan are all set to resume their pursuit of the Hero Federation Cup which has evaded them for a eight long years, when they take on Salgaocar FC at the Barasat Stadium in the 2nd leg of their clash tomorrow (May 05, 2016), the kick-off for which is at 7PM IST. The reverse fixture in Goa ended up in the Mariners' favour, with a late goal by Jeje Lalpekhlua giving them a 3-2 away win. While Jeje had opened the scoring in the very first minute, Salgaocar were in the driver's seat for the majority of the match with goals from Calvin Mbarga and Martin Scott giving them the advantage. 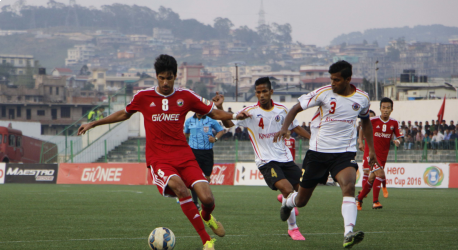 However, Abhishek Das restored parity about fifteen minutes from time before the eventual winner in the 85th minute. Sanjoy Sen had reason to be pleased on the eve of the encounter as his talisman, Sony Norde had trained with the team in the morning and hinted that he might be available for selection. Cornell Glen meanwhile suffered a slight niggle during training and was scheduled to see a doctor. The midfield of Pronay Halder and Lenny Rodrigues would most likely be constant as Kinshuk Debnath and Luciano Sobrosa will remain at the back. Subash Singh might continue upfront with Jeje Lalpekhlua while Sony Norde will come into the side at the expense of Kean Lewis. Sen, though made it clear that they would look to keep a clean sheet going into the match. "Our first objective will be to not concede and then obviously we will look to win the game. We have always managed to score goals, that has never been the problem”, asserted Sen. He also said that they needed to take lessons from Aizawl FC trouncing Bengaluru FC away from home yesterday and believed that the Marines would need to play at their best to guard against a wounded Salgaocar. 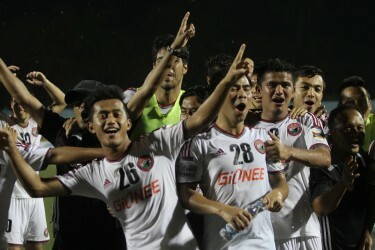 "Salgaocar are a goal behind and that means they will be all the more hungry to come back. So we have to be at our best," he stressed. "Mohun Bagan are a very good team but we are here to win and we will give our very best to attain that objective," he opined. "Last time we were here we scored two. We also scored two against them at Goa. So only thing we need to ensure is that we have to be solid at the back and I am sure we can win this," remarked a confident Daryl Duffy. Gilbert Oliviera and Keenan Almeida will be out injured but Soares would look to deploy an almost identical team to the one in Goa. Daryl Duffy and Calvin Mbarga will lead the line with Martin Scott supporting them from midfield. Karanjit Singh will be in goal while Eder Fernandes and Augustin form the centre-half pairing, with the task of keeping the rampaging Bagan attack at bay. An exciting encounter is in store, it will be a match of forwards as both teams boast some deadly strikers who can turn the game at any moment.